As many new smartphones are emerging every now and then, its time to compare some and determine the best options. This time the war is for a better Rs 20,000 device with Dual SIM capabilities. The devices we’ve chosen for the same are Sony Xperia C Dual and HTC Desire 500. Built: The dimensions of HTC Desire 500 are 5.19 x 2.63 x 0.39 inches and weighs 123 grams. Where as the dimensions of Sony Xperia C Dual are 5.57 x 2.92 x 0.35 inches and weighs 153 grams. The Sony offering fares better in terms of build quality and looks more premium than the HTC offering. Display: HTC Desire 500 sports a capacitive multi touch display of 4.3 inches, 480 x 800 pixels resolution and 217 ppi pixel density. 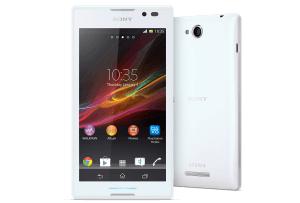 While Sony Xperia C Dual sports a capacitive multi touch display of 5 inches, 540 x 960 pixels resolution and 220 ppi pixel density. The Xperia C has a better screen and this point goes in the favour of the Xperia C as well. 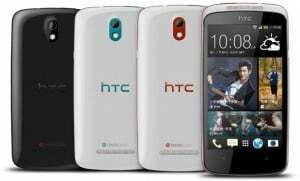 Processor: HTC Desire 500 comes with Qualcomm Snapdragon 200 system chip while Xperia C Dual carries MediaTek system chip. Both the smartphones have been equipped with 1200 MHz quad core processor. But the point is that the Mediatek offering is based on Cortex A7 architecture whereas the Qualcomm offering is based on Cortex A5 architecture. The former performs better and the Sony Xperia C gets one more brownie point. Operating System: Both the devices function on Android 4.2 Jelly Bean OS. So application compatibility will be similar to each other so they are even in this department. Camera: Both the devices have been loaded with 8 MP rear cameras with LED flash. HTC Desire 500 enables you to record 720p HD videos and carries 1.6 MP secondary camera where as the Xperia C Dual enables you to record 1080p HD videos. Xperia C Dual offers a range of other exiting camera features such as the burst mode. And the Xperia C Dual has one more point going in its favour. Memory: Both the smartphones carry 1024 MB RAM and 4 GB internal memory. HTC Desire 500 feature expandable memory of up to 64 GB and Xperia C Dual feature up to 32 GB expandable memory. The HTC offering has a better expandable memory option so it wins in this regard. Connectivity Features: The connectivity features included in both the smartphones are Bluetooth 4.0, Wi-Fi, micro USB and a 3.5 mm audio jack. Xperia C Dual also supports NFC and with this, it just extends its lead. Other Features: They both feature proximity and light sensors, compass, accelerometer, voice dialing, voice recording, speakerphone, etc. Both the devices are dual SIM smartphone that offer dual standby option. So they are pretty even. Our Take: Both of them cost around Rs 20,500. After having a good look at the features, my vote goes in favor of Sony Xperia C Dual as it offers bigger display, better resolution and a finer camera with wider range of features. Sony xperia does not have burst mode feature.